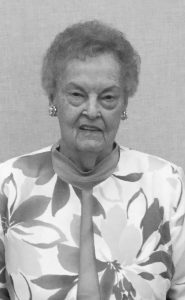 DOLORYS MAE CLARK (née Frye) passed away suddenly on Friday, February 1, 2019 at the age of 93 years. Dolorys is survived by her daughter-in-law Beverly Clark and her sons, Jonathan Clark and Benjamin (Crystal) Clark and their daughter Hayden, Dolorys’ one great-grandchild; and by her son, Jerry (Karen) and their two children Rebecca (Chris) Armstrong and Daniel (Loretta) Clark, as well numerous nieces and nephews and their extended families. She was predeceased by her husband, Russell, in 2002 and her son, Steven in 2017, as well as all her siblings and their mates. Dolorys was born on May 18, 1925 in Valley City, North Dakota. After completing High School, she succumbed to the travel bug, spending time with her sister in San Francisco and her brother in New York, before attending Teacher’s College. She had a passion for teaching and students who began the school year struggling ended the year under her care as better readers, enjoyed learning and had a smile on their face. 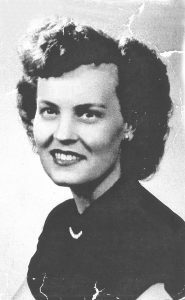 Dolorys began her teaching career in St. Cloud, Minnesota. While attending summer school in Colorado, she met Russell Orlando Clark. His prowess at the piano and her beautiful singing voice drew them together. They were married on February 23, 1951. Both she and Russell taught school in various cities in the United States before moving to Lethbrige, in 1967. Here, she taught school briefly at McNally, then from 1968-1973 in Fort McLeod. In 1957, Dolorys began a thorough study of the Bible and was delighted to learn that our loving Heavenly Father has a personal name, Jehovah. She became convinced that His purpose is for righteous mankind to live forever on a Paradise earth under the rulership of His Son, Jesus Christ. She took great comfort in Jesus promise at John 5:28, 29 that ‘all those in the memorial tombs will hear God’s voice and come out’ of their graves in a resurrection. Dolorys loved to share these beloved truths with everyone she met and did so till the day she died. The family wish to express their deep appreciation to the management and staff of Pemmican Lodge, who helped make the last years of Dolorys’ life the best they could be. We also want to say a special thank you to Dr. Tracey Tannis for greatly improving Dolorys’ quality of life. Not to be overlooked are the staff at IHOP, who graciously accommodated Dolorys’ many requests. A Memorial Service for Dolorys will be held at the KINGDOM HALL OF JEHOVAH’S WITNESSES, 1510 Stafford Drive North, Lethbridge, AB, on Friday, February 8, 2019 at 6:30 P.M. with a reception will follow. Thank you also to Cornerstone Funeral Home for easing the challenges of the family at this difficult time.